Job satisfaction is generally related with life satisfaction and can directly affect social, physical and mental health of individuals. 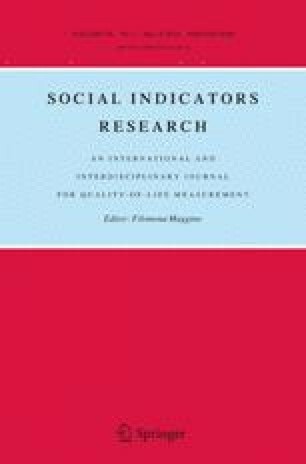 This study was investigated to determine whether the levels of job satisfaction and life satisfaction of academicians have significantly differentiated under demographic variables and to enlighten the correlation among them. The samples of the study involve 186 academic personnel who work in the Faculty of Science and Art (122) and in the Faculty of Engineering and Architecture (64) in Eskisehir Osmangazi University. While analysing the data, t test, analysis of variance and regression analysis were used for SPSS 10.0. There was significant difference between job and life satisfaction levels of the academicians depending on the variables like the faculties that academic personnel working at, their titles, educational backgrounds, marital statuses, periods of duty, ages and genders. The results and their implications have been discussed. Ardıç, K., & Baş, T. (2001). Kamu ve vakıf üniversitelerindeki akademik personelin iş tatmin düzeylerinin karşılaştırılması. www.paribus.tr.googlepages.com/ardic5.doc1-30. Accessed 11 Jan 2011.